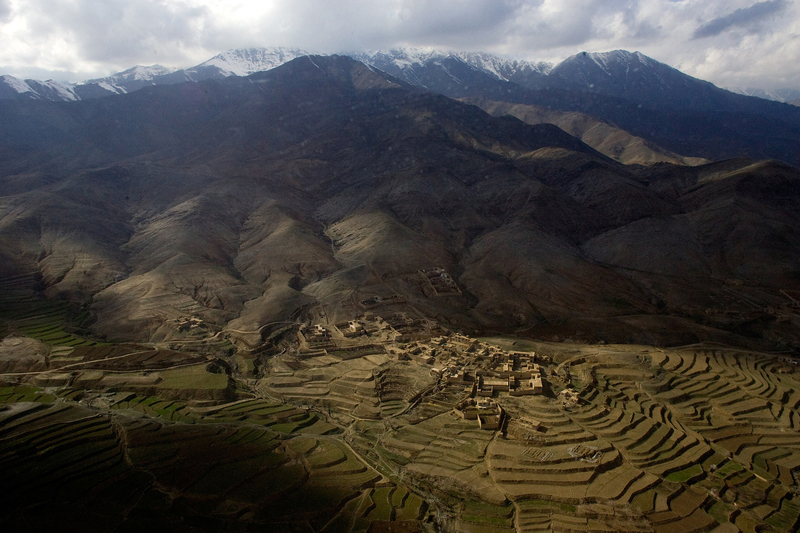 A medical evacuation helicopter travels over an agricultural village between Jalalabad and Bagram. Weather conditions in Afghanistan can quickly change, making rescues difficult. The rugged terrain and weather of Afghanistan has been a major challenge to the foreign militaries trying to fight the Taliban in Afghanistan.